In the 1970's there were some reproductions offered, which, over time which have now started to appear on the marketplace as fakes. Although the market has been polluted with forgeries, originals do exist, but are priced in the neighborhood of $40-$100, which makes it a monetary as well as cultural loss if they are broken at an event. 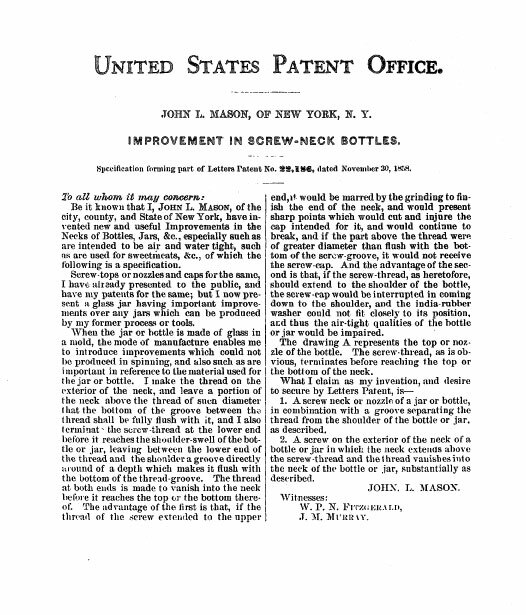 The original patent was for the threading on the neck of the bottle, which was an improvement over previous patents. 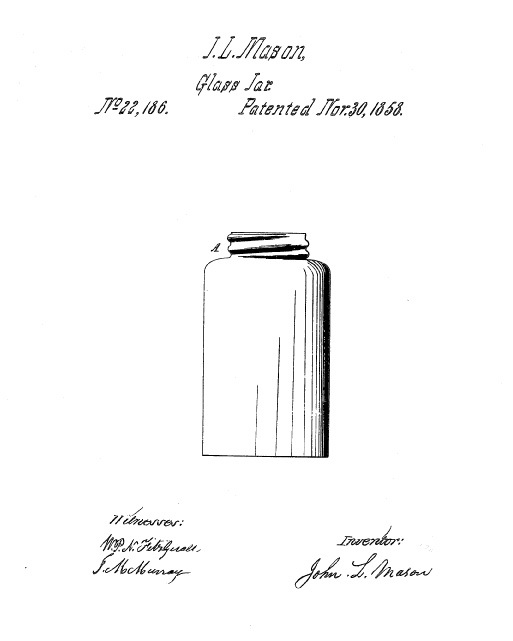 The Mason patent of 1858 had grown to such popular use, that any screw top fruit jar was referred to a Mason jar, which is illustrated on line 52 and 53 of Foster E. Parson's 1864 Bottle Opener patent. 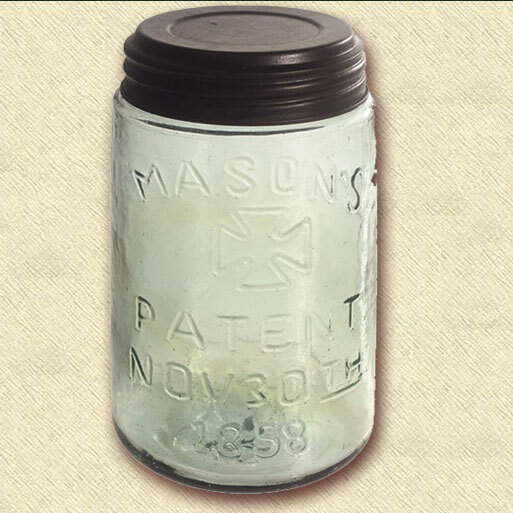 Boldly embossed with the 1858 patent date and maltese cross on the front, these jars are perfect if one is recreating a raid on a local farmhouse, or creating the scenario of a package from home. 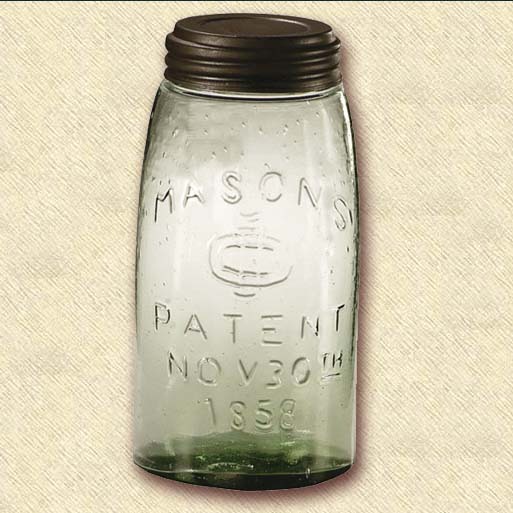 In the conext of our living history hobby, they work well for canning pickles or different fruits. 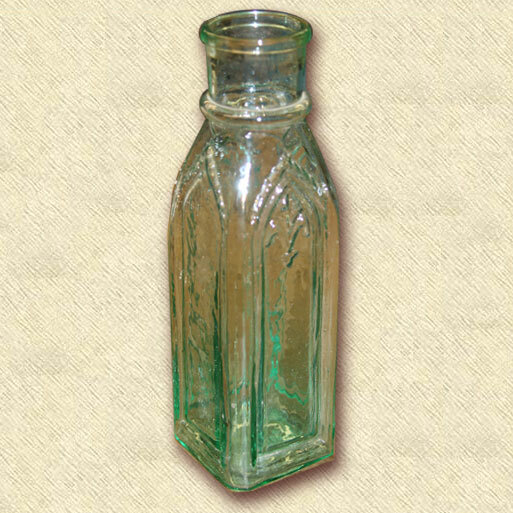 This model of jar meaures 5" high by 3" wide, and is capable of holding 1 pint of content. The most attractive aspect of these jars is that they are affordable, and easily replaced, and will instantly add detail to any scenario. 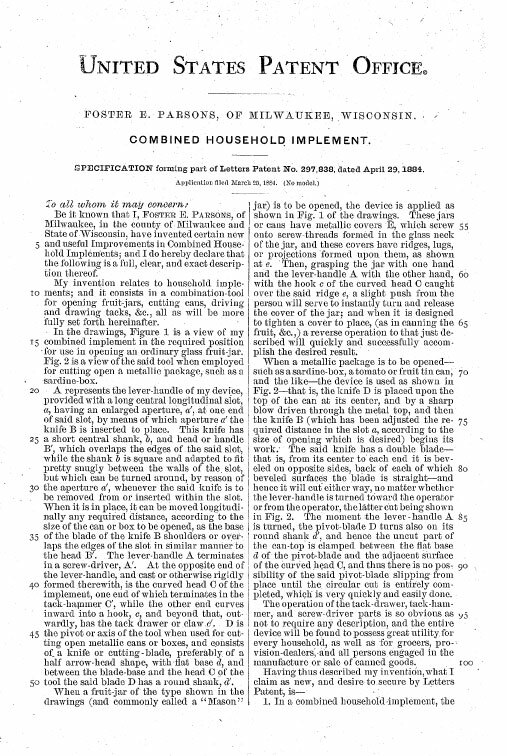 Please note that the rubber canning gasket is not included, as they must be replaced periodically. 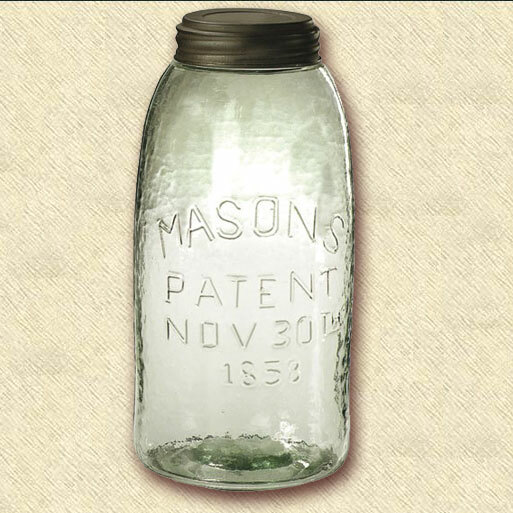 They are available from any home canning supply house.